Despite a fairly low-key Windows 7 release, Microsoft are launching Visual Studio 2010 and .NET 4.0 with a fanfare. I certainly don’t recall an event this big with previous editions. Week-long launches are being held in Las Vegas, London, Beijing in China, Banglore in India, and Kuala Lumpur in Malaysia. Smaller events are being held in the following US cities: Denver, Orlando, Oak Brook, Boston, Brooklyn, Arlington, Costa Mesa, Dallas, Houston, Atlanta, San Francisco, Detroit, Minneapolis, Philadelphia and Seattle. Worldwide conferences can also be attended in Argentina, Australia, Brazil, Chile, France, Germany, Hungary, Italy, Ireland, Japan, Mexico, Poland, Russia, Spain, Switzerland, and Sweden. VS 2010 Professional: the core application. VS 2010 Premium: the Professional version with additional facilities, Microsoft Office, Expression Studio, Visio, and Project. 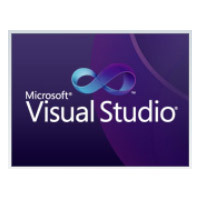 VS 2010 Ultimate: the Premium version with additional test case and management facilities. All three versions include test editions of Windows Server, Azure and SQL Server. They can be installed on XP SP2, Vista SP1, Windows 7, Server 2003 SP2, Server 2008 SP2 or better. Visual Studio may not be cheap, but the prices and MSDN subscriptions compare well with other professional development products when you consider what you’re getting. Microsoft also provide free Express versions which are great if you want to try the technologies. F# (F-Sharp), a new language which supports more than one programming paradigm. Syntactically, it looks a little Pythonesque, but I’m no Python expert so please feel free to ridicule me below! I think Microsoft is heading in the right direction with VS and ASP.NET. They appear to be following web standards and the tools are maturing well. VS 2010 will almost certainly be a success, but would you consider switching from your current language and platform of choice?